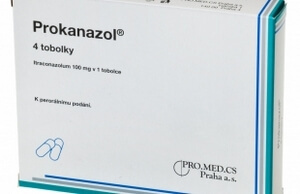 The active substance " Flukostat " - fluconazole - antifungal agent for thrush. On its basis, similar preparations are produced in tablets, suppositories, capsules, solutions. Drugs contain a different dose of the active substance - 50 mg and 150 each. 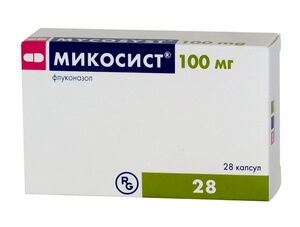 A number of Russian and foreign companies produce fluconazole under various names as an analogue of a flucostat from thrush. Do not forget that a similar active substance does not mean the same effect . Solution, tablets, syrup, powder, capsules. used for candidiasis of the urogenital system, respiratory system, cutaneous candidiasis, groin and stop mycoses. Successful for the treatment of chronic vaginal candidiasis. Dosage: single intake of 150 mg Diflazon. To prevent relapse - 150 mg once a month for 4 months. 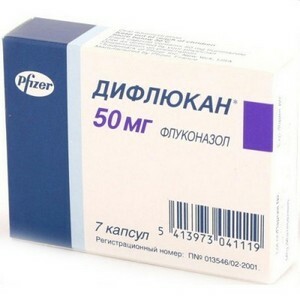 For the prevention of candidiasis - 50 mg per day. Can cause toothache, skin rash, dizziness, fatigue, loss of appetite, cramps, nausea, diarrhea, constipation, abdominal pain, abnormal liver function, kidney, flatulence, headache, baldness, hypokalemia. In case of overdose: paranoia, hallucinations. Hypersensitivity, alcoholism, children up to six months, with renal and hepatic failure, pregnancy , lactation. Capsules on: 50, 100 and 150 mg, suspension prepared from powder - 10 and 40 mg. Dosage: take once by mouth 150 mg. Capsules are swallowed whole. The drug is released freely. Storage time: 5 years - for capsules, 3 years - for powder. Use during pregnancy, abnormal liver function, rash, arrhythmia, electrolyte imbalance should be avoided. From the side of the central nervous system: dizziness, change in taste, headache. The digestive system: diarrhea, dyspepsia, abdominal pain, vomiting, flatulence, nausea. Increased bilirubin, hepatitis (jaundice). Cardiovascular system: flicker and flutter of the ventricles. Dermatology: swelling of the face, urticaria. In patients with AIDS, oncology in the treatment of changes in blood parameters, kidney and liver function. 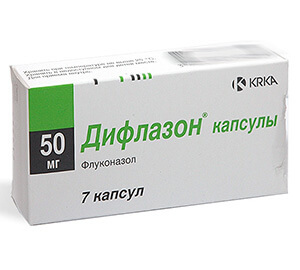 Antifungal drug for the treatment of thrush. Mikosist capsules are sold without a medical prescription, the solution is prescribed. Price and reviews can be found here . The active ingredient has antifungal activity against: Candida, Cryptococcus neoformans, Trichophyton, Microsporum. For candidiasis take one capsule 150 mg. For the prevention of relapse - 4 months, per capsule once a month. Complete instructions . Causes vomiting, flatulence, nausea, abdominal pain, diarrhea. Less commonly, liver dysfunction, neutropenia, headache, renal dysfunction, baldness, convulsions, agranulocytosis, hypokalemia, thrombocytopenia. Allergy : skin rash, skin redness, anaphylactoid reactions. 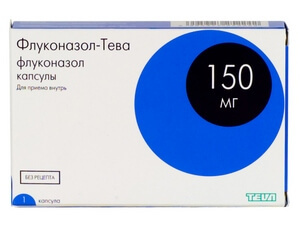 Capsules: 50, 100, 150 mg of fluconazole. Dosage: with vaginal candidiasis, single intake of 150 mg. To reduce relapse - 150 mg 1 time per month. The duration of treatment is individual, 4 - 12 months. Diarrhea, nausea, flatulence, rarely - abnormal liver function. Headache, cramps (rarely). Leukopenia, neutropenia, thrombocytopenia, agranulocytosis. Allergy: skin rash, Stevens-Johnson syndrome (rare), Lyell's syndrome. Impaired kidney function, baldness, hypokalemia. 4 years at a temperature of 15-25 ° С, in a dark place, out of reach of children. Hypersensitivity, immunological reactions, concomitant use of terfenadine, pregnancy, breastfeeding. Category of action on the fetus - C (FDA). Headache (13%), nausea (7%), diarrhea (3%), skin rash (1.8%), dyspepsia (1%), dizziness (1%), loss of taste (1%). Very rarely - angioedema, anaphylactic reactions. Dermatological: Stevens-Johnson syndrome and alopecia. When symptoms increase, treatment should be stopped. Special instructions: the premature termination of the treatment of thrush leads to relapses. Indications for use: candidiasis on mucous membranes, including thrush, fungal skin lesions. Contraindications: allergies, liver failure, pregnancy, breastfeeding, children under 3 years. Side effects: diarrhea, skin rash, convulsions, nausea, dizziness, baldness, bloating, skin rash. Dosage: individual (50-100 mg / day.). 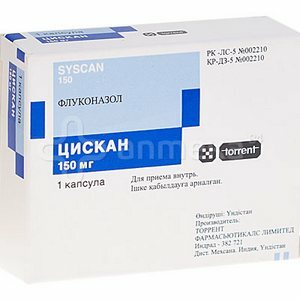 With vaginal candidiasis - once 150 mg. For prophylaxis - 3-12 mg per kg of body weight. Contraindications: pregnancy, breastfeeding, hypersensitivity. childhood. Side effects: skin rash, diarrhea, nausea, flatulence. Rarely - convulsions, abnormal liver function, agranulocytosis, thrombocytopenia, neutropenia, leukopenia. Alopecia, hypercholesterolemia, hypertriglyceridemia, hypokalemia. Storage conditions: 3 years at a temperature of 15-25 ° C, far from light. How many different things I tried from thrush, in the end only a flucostat helped, therefore I think that it differs from others in that it is much more effective.